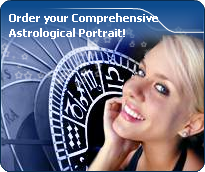 You will find below the horoscope of Rachel Stevens with her interactive chart, an excerpt of her astrological portrait and her planetary dominants. If you know the time of birth of Rachel Stevens, we would appreciate it if you would send us your information with your source, at stars@astrotheme.com. To thank you for contributing to the enhancement of our astrological database, we shall be glad to send you the astrological portrait (34 pages) of this celebrity. Horoscopes having the same aspect Mercury trine Saturn (orb 0°48'): Sharon Tate, Emmanuel Macron, Jennifer Lawrence, Coluche, Lindsay Lohan, Ingrid Chauvin, Jean-Marc Ayrault, Steven Spielberg, Jeff Buckley, Laetitia Casta, Simone Veil, Swami Vivekananda... Find all the celebrities having this aspect. Horoscopes having the same aspect Sun trine Neptune (orb 1°01'): Diana, Princess of Wales, Tom Cruise, José Bové, Friedrich Nietzsche, Juliette Binoche, Jon Bon Jovi, Miranda Kerr, Bill Kaulitz, Linda Goodman, Charlotte Gainsbourg, Tony Robbins, Michelangelo... Find all the celebrities having this aspect. Celebrities clicked on in real-time: 576,365,596 times. Rachel Lauren Stevens (born April 9, 1978) is an English singer and actress and an occasional model who lives in Hampstead, London. Formerly with the successful pop group S Club (7), she launched a solo recording career and has released seven singles and two albums to date in the UK. Height: 5' 3" (1.60 m) After a successful audition Stevens became a member of the British pop group "S Club 7", which were a BRIT Award-winning English pop group created by former Spice Girls manager Simon Fuller. The group rose to fame via their own BBC television programme and by selling sixteen million records worldwide and launching four number one hit singles in the United Kingdom. Here are some character traits from Rachel Stevens's birth chart. This description is far from being comprehensive but it can shed light on his/her personality, which is still interesting for professional astrologers or astrology lovers. In a matter of minutes, you can get at your email address your astrological portrait (approximately 32 pages), a much more comprehensive report than this portrait of Rachel Stevens. Warning: when the birth time is unknown, which is the case for Rachel Stevens, a few paragraphs become irrelevant; distributions in hemispheres and quadrants are meaningless, so are dominant houses and houses' accentuations. Therefore, some chapters are removed from this part. Rachel Stevens, Fire is dominant in your natal chart and endows you with intuition, energy, courage, self-confidence, and enthusiasm! You are inclined to be passionate, you assert your willpower, you move forward, and come hell or high water, you achieve your dreams and your goals. The relative weakness of this element is the difficulty to step back or a kind of boldness that may prompt you to do foolish things. Like the majority of Earth signs, Rachel Stevens, you are efficient, concrete and not too emotional. What matters to you is what you see: you judge the tree by its fruits. Your ideas keep changing, words disappear, but actions and their consequences are visible and remain. Express your sensitivity, even if it means revealing your vulnerability. Emotions, energy and communication must not be neglected; concrete action is meaningless if it is not justified by your heart, your intellect or your enthusiasm. After this paragraph about dominant planets, of Rachel Stevens, here are the character traits that you must read more carefully than the previous texts since they are very specific: the texts about dominant planets only give background information about the personality and remain quite general: they emphasize or, on the contrary, mitigate different particularities or facets of a personality. A human being is a complex whole and only bodies of texts can attempt to successfully figure out all the finer points. There is so much voluptuousness and so much charm in your personality, Rachel Stevens! You are what is called a “nature” and when confidence is established, slowly but steadily, you become deeply attached to your partner and you can be filled with passion. It may take months, even years, but you are so generous and affectionate that, in most cases, your relationship has many chances to blossom, with time. You are very physical and sensual and you are very keen to delight in your intimate moments. This aspect of your amorous relationship usually contributes to its sustainability. Everything seems idyllic, Rachel Stevens. It would be so if your jealousy and your possessiveness did not get started simultaneously with your powerful feelings. But you have so many assets, so be content! It is difficult to find a more sensitive person than you, Rachel Stevens. You are able to contain your aggressiveness and it may be hard for you to exteriorize your feelings. You are usually passive and you draw your strength from inertia and resistance more than from the will to take action. Your mood is changing, you show little of yourself and you may surprise with your inopportune reactions that come late, when people have forgotten what it was all about. The only area where you express yourself with zeal and where your actions are successful is the area of home or, more symbolically, in the fields where you can achieve security. In other words, you need to feel comfortable before you can move, in concrete matters as well as in sexuality. This text is only an excerpt from of Rachel Stevens's portrait. We hope that it will arouse your curiosity, and that it will prompt you to deepen your knowledge of astrology, as well as to visit and use the wide range of free applications at www.astrotheme.com.